His court case has now hit the fast track with oral arguments beginning [today]. The 3rd Circuit Court of Appeals is considering four issues in regards to granting Abu-Jamal a new trial. Supported by the NAACP, NLG, UK Lawyers, and The German Parliament, Philly Journalists Linn Washington and Dave Lindorff have optimistically written of Abu-Jamal’s chances for a new trial. In April, longtime French support (2005 photos) continued when the Paris suburb of St. Denis named a major street after Mumia (see video) and was quickly condemned with government resolutions in the US (pdf booklet), while local media continued a long history of bias. Nadir: I went to some of the sites you posted, but they didn’t convince me that this guy is innocent (nor has any information convinced me of his guilt). You list many articles, and it is a chore to figure out which ones address the voracity of this case. Can you recommend a few that make the case for his innocence? And I’m curious for your reaction to the wikipedia description. Mumia’s innocence or guilt is definitely unclear. There were many irregularities in his trial with witness intimidation, changes in testimony and many other problems. A court stenographer came forward years later to say she heard the judge at Mumia’s trial say, “Yeah, and IÃ¢Â€Â™m going to help them fry the n****r.” Later another man confessed to killing Daniel Faulkner, but the courts refuse to allow the confession to be admitted as evidence. The main fight is for him to receive a new trial. The state has fought this at every turn. This article offers a pretty clear account, though it is solidly pro-Mumia. Most observers are pro-Mumia when examining the facts, and at least believe that a new trial could help clear up some of the problems of the first trial. 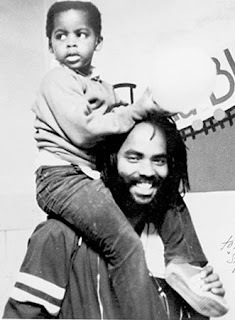 The court and police department have exhibited a bias against Mumia since before the shooting. OK, that’s the impression I have so far from reading some of your articles: innocence is not clear-cut, but problems with the trial are clear cut enough to warrant calls for a new trial. I think that those Duke boys should demonstrate their gratitude to the universe by looking into as many cases like this as possible, with their personal knowledge of how police and prosecutors nail innocent people, and then donate their celebrity to as many people as possible whom they deem unjustly prosecuted. I think that their defense team should play a role in a formal effort along these lines. This would be a very effective mechanism for both freeing some innocent people, and for exposing to the general population some much needed reforms for police and prosecutors. This is the sort of thing that they promised to do at their exoneration press conference.